Swedish truck manufacturer Scania has visited the international trucking company Primafrio to learn about the new facilities of the Murcia-based company which announced that, as part of its strategy to be an environmentally responsible company, it will begin testing new Scania natural gas trucks in its fleet. 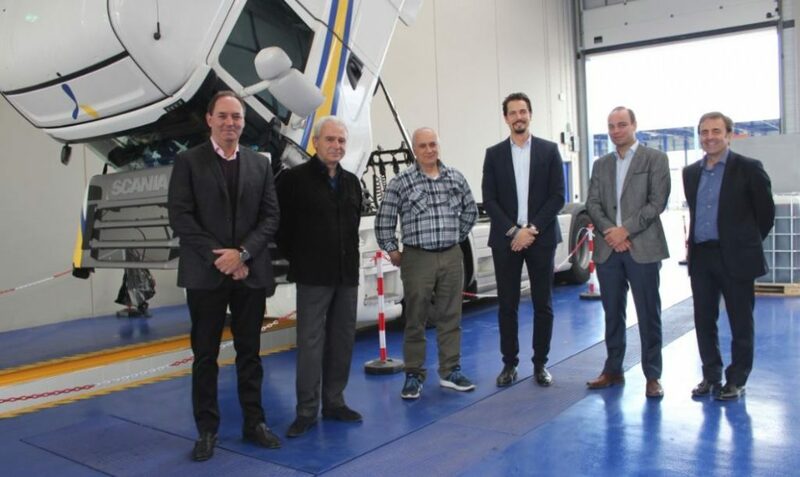 The new CEO of Scania Ibérica Sebastián Figueroa was able to see firsthand the operation of Primafrio’s headquarters, equipped with the latest technology in fleet information, monitoring and control systems. “From Scania, we will continue betting on the manufacture of safe trucks, equipped with the latest technology and with a clear commitment to the environment to be at the forefront of the service, as required by a customer like Primafrio,” said Figueroa and thanked the cordial welcome. In this regard, Primafrio will soon begin testing a fleet with Scania trucks powered by natural gas, in response to its strategy to be one of the cleanest transport companies committed to the environmental future, adopting environmentally-friendly and competitive transport solutions and responding to the growing demand of the industry in this field. In this extremely encouraging scenario for sustainable mobility, where more and more Spanish commercial fleets add vehicles powered by natural gas, AltFuels Iberia 2019 will take place on 11-14 June at IFEMA Trade Center, Madrid. It will be an event consisting of first level conferences and exhibition of vehicles of all kinds, refueling stations, components, plants, road and marine engines, as well as the entire universe of the alternative fuels industry with the latest technological developments, multiple options for networking, business and new advances. For more information, please contact info@altfuelsiberia.com.